Around 180-200 passenger cars of Utoo Cabs, the taxi hailing company launched by C Sivasankaran, founder of telecom firm Aircel, parked in an open space at Porur, in Chennai, were destroyed in a fire which broke out on Sunday afternoon. The on-demand online taxi-hailing brand has not been on roads as the company is planning to relaunch it with electric cars. 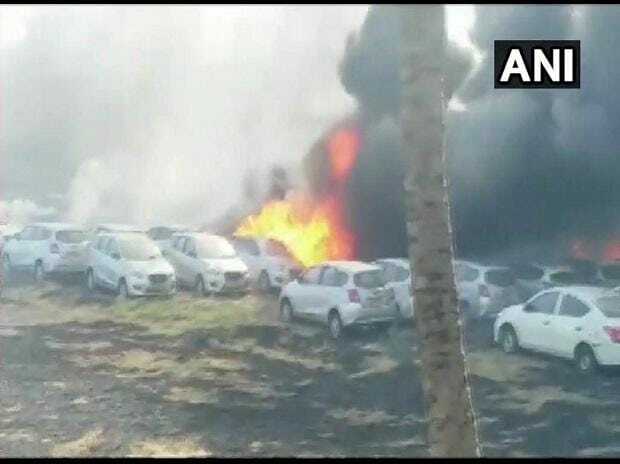 According to information available, the cars were parked at a location near Sri Ramachandra Medical Centre and the fire spread due to dry grass on the ground. The fire went on for several hours, destroying 180-200 cars of the total 250 cars parked there, said sources. The Tamil Nadu Fire and Rescue Services was able to douse the fire by evening. The reason for the fire is yet to be ascertained. Police are investigating and finding the cause for the accident and the loss for Utoo Cab would be around ~20 crore according to the preliminary assessment, said a source. The cabs were not insured, but there were no human casualties reported. The Utoo branded online cab service launched in Chennai, for which Sivasankaran was a strategist and mentor, in 2016 and started operations in some of the other cities. However, the brand soon went absent on the roads and Sivasankaran said the business was in passé now and would relaunch it with electric cars in September 2019, where the fuel costs would not be higher and the cars would be easy to maintain.